WASHINGTON A Senate panel on Thursday issued a scathing assessment of JPMorgan's (JPM) $6.2 billion trading loss last year. The investigation found that bank officials ignored growing risks and hid losses from investors and federal regulators. Executives at JPMorgan understated the trading losses to federal examiners by hundreds of millions of dollars and dismissed questions raised about the trading risks, according to the report from the Senate Permanent Subcommittee on Investigations. The committee's findings suggest that key executives, including CEO Jamie Dimon, were aware of huge losses at the bank, even while they were downplaying the risks publicly. The report also blames federal regulators for lax oversight that allowed the nation's largest bank to pile up risky bets. 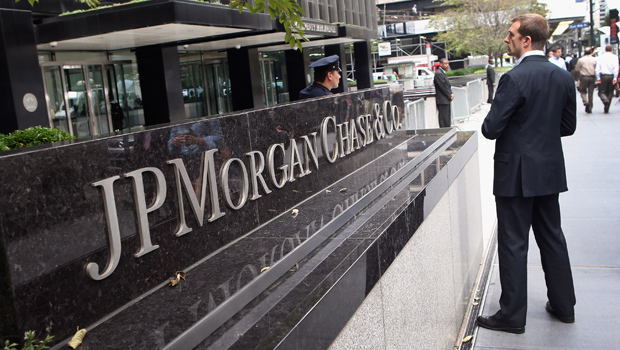 "The JPMorgan Chase whale trades provide another warning signal about the ongoing need to tighten oversight of banks' derivative trading activities, including through better valuation techniques, more effective hedging documentation, stronger enforcement of risk limits, more accurate risk models, and improved regulatory oversight," says the report. On Thursday, JPMorgan acknowledged it made mistakes but rejected any assertions that it concealed losses or risks. A spokesman declined to comment directly on the accusation that Dimon knew of the trading loss in April. "While we have repeatedly acknowledged mistakes, our senior management acted in good faith and never had any intent to mislead anyone," JPMorgan said in a statement Thursday. "We know we have made many mistakes .... We have taken significant steps to remediate these issues and to learn from them." Sen. Carl Levin, D-Mich., the subcommittee's chairman, said the probe showed "many, many failures" at the bank, some of them "serious and indeed egregious." The committee will question bank executives and regulators Friday at a hearing on the trading loss. In April, news reports said a trader in JPMorgan's London office known as "the whale" had taken huge risks that were roiling the markets. Dimon immediately dismissed the reports as a "tempest in a teapot" during a conference call with analysts. But in May, Dimon acknowledged that the bank had lost roughly $2 billon. And during testimony to a separate Senate panel in June, Dimon said the bank showed "bad judgment," was "stupid" and "took far too much risk." The figure was later revised to more than $6 billion. JPMorgan executives said publicly that the trades were made for the purpose of hedging against risk. An internal report at the bank blamed traders in the London unit for trying to hide the size of the loss and not keeping bank executives informed. But the Senate report says executives inaccurately said the trading decisions were based on a long-term strategy and that the trading positions were fully transparent to regulators. And, it says there is evidence that Dimon and other key executives had information in April about the operation's huge and complex portfolio, as well as its losses for three straight months. The bank "gambled away billions of dollars through risky and exotic trades, then intentionally hid its losses from investors and the public, showing complete disregard for risk management procedures and regulatory oversight," Sen. John McCain of Arizona, the subcommittee's senior Republican, said Thursday. The loss came less than four years after the 2008 financial crisis and hurt the reputation of a bank that had come through the crisis known for taking fewer risks than its competitors. Three employees in the London office were fired - two senior managers and a trader. And Ina Drew, the chief investment officer overseeing the bank's trading strategy, resigned. The trading loss also raised concerns that the largest banks still pose risks to the U.S. financial system. The Senate report criticized the oversight of JPMorgan's trading operation by the Office of the Comptroller of the Currency, a Treasury Department agency. It said the agency failed to investigate the trading even when the London operation several times blew through pre-set risk limits, failed to notice when the unit didn't submit several required monthly reports, and accepted other reports that omitted key data. "The OCC takes this matter very seriously. ... We are very disappointed that the bank misinformed the OCC, which hampered our supervisory efforts," agency spokesman Bryan Hubbard said Thursday. "We will take additional action as appropriate." The agency acknowledges that there were shortcomings in its oversight of JPMorgan, Hubbard said. As a result of its review, the OCC has taken steps to improve its supervision of financial institutions, he said. In January, the OCC and the Federal Reserve ordered JPMorgan to take steps to correct weak risk management that led to the trading loss. The bank wasn't fined under the agreements. It promised to strengthen its policies and procedures to control risk. Drew will be among several witnesses Friday. So will former Chief Financial Officer Douglas Braunstein, who is accused in the Senate report of misleading investors during the April conference call. Comptroller Thomas Curry and two other agency officials also are scheduled to testify. Shares in New York-based JPMorgan Chase fell 26 cents, or 2 percent, to $49.96 in extended trading Thursday after the committee issued its report.